In five years, Monroe County's Mill Seat landfill, which takes waste from the county and the City of Rochester, could be full. But county officials want the Riga landfill to last another 25 years, so they've applied to the Department of Environmental Conservation for permission to add 118 acres to the current 95-acre landfill. County officials say they expect the approval process to take about three years. To be clear, county officials say they don't want to increase the amount of waste the landfill takes in on a daily basis, which is capped at 1,945 tons. Instead, they need the extra space, they say, to keep handling the current amount of trash, since the landfill is nearly full. "We're really requesting a continuation of operations," says Mike Garland, the county's environmental services director. Garland says the landfill is a reliable, cost-effective, and environmentally sound way to meet the disposal needs of the county and the City of Rochester. In particular, the county needs to dispose of the sludge from the VanLare water treatment plant; the water treatment byproduct accounts for approximately 10 percent of the waste entering Mill Seat. Garbage from the city amounts to about another 20 percent. The landfill is operated by Waste Management, via a long-term lease with the county. The company also operates, through a separate contract, the county recycling center. But the county's desire to keep the landfill running has implications beyond the costs and logistics of having a place to put residents' garbage. The Mill Seat expansion plan is also an environmental matter that touches on complex issues like waste reduction, reuse, and recycling. And landfills also play a role in climate change. The decomposing wastes, particularly organic materials like yard trimmings and food, emit methane, which is a potent greenhouse gas. Extending the operational life of a landfill can also increase the amount of methane that landfill emits. Mill Seat currently captures about 70 percent of the landfill gas and burns it in generators to produce electricity, which cuts down on the landfill's methane emissions. Officials have applied for permits to add generators, which would burn off additional landfill gas. New York has tried to address some of the complex issues around landfills by requiring "planning units" — a term that includes counties or groups of counties — to develop solid waste plans. The plans are supposed to take a holistic look at waste management, with a focus on minimizing what gets landfilled. And they're supposed to include public- and private-sector operations. Monroe County started an update to its plan in 2009, but is still working with the state to finalize it. The final plan should include a study of the composition of the county's waste and where those materials are ultimately going — information that can be used to develop public education programs about proper disposal, recycling, or reuse of different wastes. But the county's Garland says the plan also incorporates several initiatives that have either been implemented or are in the works. Ecopark in Chili is one example. Waste Management and the county jointly operate the facility, which serves as a drop-off point for certain recyclables and household wastes. Another example: the county's 2011 decision to accept more varieties of plastics for recycling. The county is in the process of switching its recycling center to a single-stream system — part of the solid-waste plan. Once that changeover is complete, many residents won't have to sort their recyclables before putting them at the curb. "We believe that through single stream, it's going to be easier for the resident to recycle, ultimately," Garland says. "There will be less confusion." Americans are generating more waste than in the past, so landfills, unpopular as they may be, are a necessary evil. 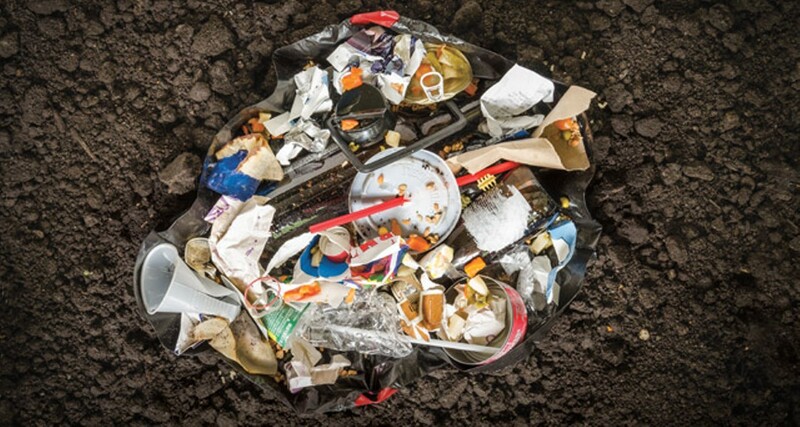 The Environmental Protection Agency says that in 2011, the average American generated 4.4 pounds of waste a day. That figure has risen steadily since 1960, when the average person generated 2.7 pounds of waste per day. The numbers have fallen slightly since around 2000, however. But of the 4.4 pounds of waste that the hypothetical average person generated in 2011, 1.5 pounds or 35 percent was recycled or composted. In 1960, approximately 6 percent of the trash a person generated was recycled or composted, according to the EPA. 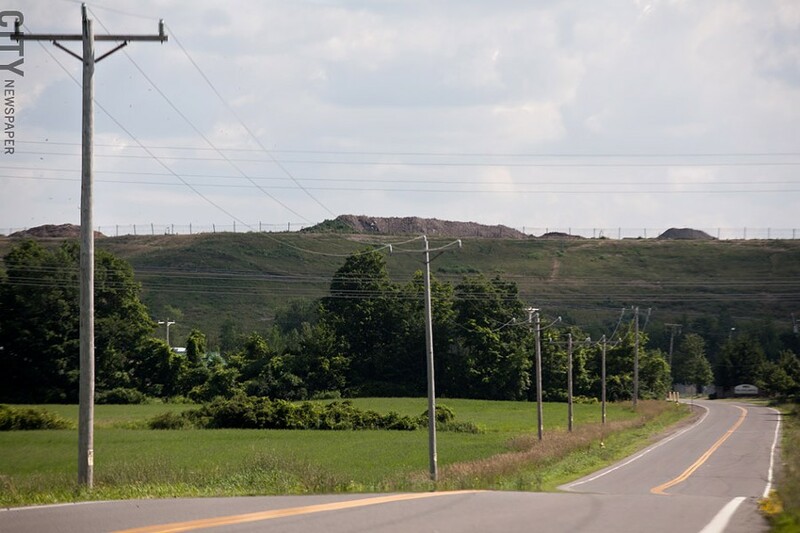 Approximately 90 percent of the waste in the Mill Seat landfill comes from within Monroe County, though under the host community agreement with Riga, the landfill can accept waste from across New York, excluding the five boroughs of New York City. The agreement stipulates that the landfill won't accept out-of-state waste. Should the expansion be granted, officials say, those conditions won't change. And there's no pressure from Riga residents or officials to shut down or curtail the landfill. In fact, as part of the host community agreement, which was amended in 2011, the town has agreed to cooperate with the expansion process. Landfill owners and operators commonly enter into agreements with the communities in which the facilities are located. The agreements spell out operating conditions for the landfill and often include various payments to the community. Riga Supervisor Robert Ottley likens the landfill to a major industry in the town, and says it hasn't been a bad neighbor. Waste Management and the county have a good relationship with the town, he says, and they've responded quickly to local complaints, most often about odors. The $2 million that Riga receives from the county through the host community agreement means that town residents don't pay property taxes. They also get free garbage and recycling pickup. "The landfill's here and it's not going away," Ottley says. "That pile of trash is going to be there forever. And so with that understanding, we need to make the best of the situation we're in." Since the county owns Mill Seat, it can negotiate favorable terms for the landfill's use, says Garland, the county's environmental services director. Ultimately, lower fees to use the landfill mean lower garbage collection costs for county residents. But lower rates can also discourage waste reduction and dampen recycling efforts, says Frank Regan, chair of the Rochester Sierra Club's Zero Waste Committee. Higher disposal costs act as incentives for keeping waste out of landfills, Regan says. A regional sustainability plan, prepared for the Finger Lakes Regional Economic Development Council, also identifies low landfill-use fees as an obstacle to waste reduction. The Rochester-Finger Lakes region has several large landfills, and the availability of disposal space keeps fees down, the plan says. The sustainability plan identifies several strategies to address the effects that low landfill fees may have on recycling or waste reduction. One proposal is to tax packaging that isn't recyclable, reusable, or compostable. Another is to charge residents for waste pickup based on how much they throw away — an approach known as "pay as you throw." Regan says he'd like to see mandatory diversion of materials that could be composted, like food waste. 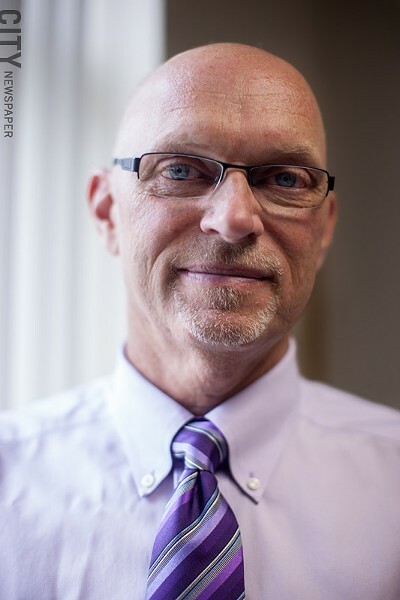 He also says he'd like to see local laws passed that would require festivals and events in Rochester to send as little garbage to landfills as possible. Recycling, reuse, and other forms of waste diversion can help extend a landfill's life, although not drastically. But the programs do help keep some of the more undesirable wastes out of landfills. Plastics, for example, don't break down easily. And electronics, which under state law are now supposed to be recycled, often contain toxic materials. They also contain valuable materials that can be reused. Some environmentalists say that they have asked about the county's recycling rate and haven't received a satisfactory answer. In particular, they want to know how much isn't being recycled that should be. Garland says that, according to an audit, 69 percent of county households participate in recycling, while 53 percent of Rochester residents participate. About 40 percent of the waste generated in Monroe County is recycled, Garland says. That includes curbside recycling, construction debris, yard waste, industrial recycling, and institutional recycling, he says. The county does expect some reduction in the amount of landfill-bound waste once it gets single-stream recycling in place. Garland says he expects the recyclables volume to increase by as much as 10,000 tons per year. That's on top of the 35,000 tons of recyclables that are already being brought to the county recycling center annually. "It's diverting materials that would have otherwise gone to the landfill, and that's the goal," Garland says.